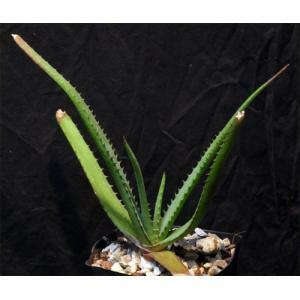 The name tells part of the story – this was purchased as Aloe swynnertonii, but unfortunately the inflorescence was not capitate but instead quite lax. At the time, the plant had extremely long, strap-like leaves that were quite unattractive, so we decided to pot the plants up and throw them into full sun. Not only has this proved extremely hardy, withstanding 18F with minimal damages, the leaves shrank back to a nice form and turned darkish red-green. The flowers obviously are dark red and quite striking. 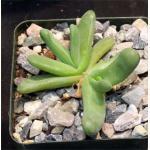 We offer rooted offsets of this plant in one-gallon pots.